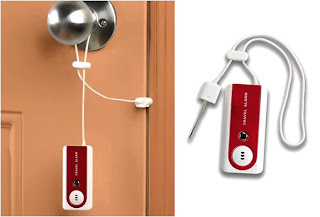 Look of Travel door alarm is cool. It resembles like a small music player. 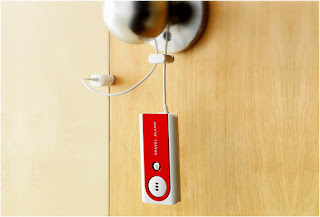 This little gadget will wake you up and will make a loud sound at 91dB when someone tries to intrude into your house. 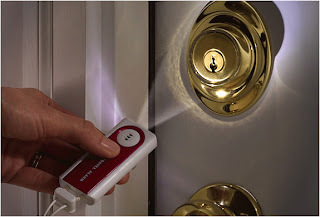 This will be a real shock to the intruder.It gives you peace of mind. A led flash light is an extra feature to this device. Buy Belle hop travel door alarm in amazon here for £12.